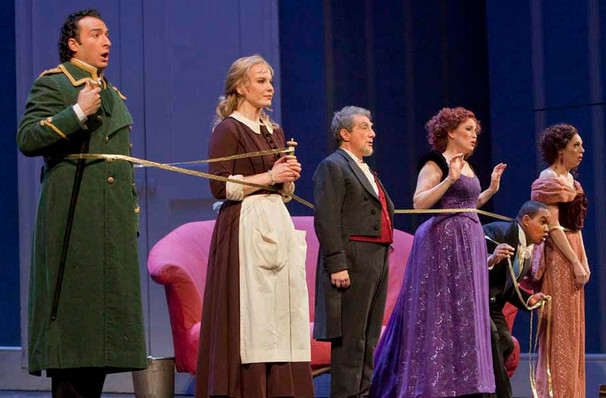 Why See Metropolitan Opera: La Cenerentola? La Cenerentola is an opera based on the traditional Cinderella story by the composer of The Barber of Seville, Gioachino Rossini. The Metropolitan Opera is bringing this music back to life as part of their 2019/2020 season. Conducted by the sensational James Gaffigan, mezzo-soprano rising star Tara Erraught takes on the title role and the incredible tenor Javier Camarena stars alongside her as Prince Charming. Rossini wrote this opera when he was 25 years old, and completed it in just three weeks. The story very much so follows that of Disney's Cinderella, in that a young woman is treated unfairly by her own family until she catches the attention of a prince who sees her true value. This operatic version keeps to the roots of this children's fairytale and projects the beauty and touching story of a heroine's transformation. Three hours and 45 minutes with two intermissions. Sound good to you? 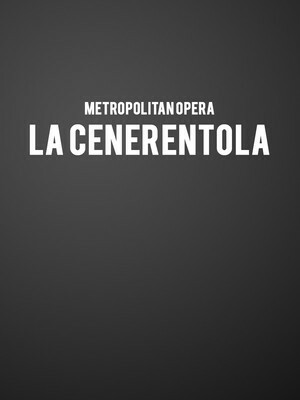 Share this page on social media and let your friends know about Metropolitan Opera: La Cenerentola at Metropolitan Opera House. Please note: The term Metropolitan Opera House and/or Metropolitan Opera: La Cenerentola as well as all associated graphics, logos, and/or other trademarks, tradenames or copyrights are the property of the Metropolitan Opera House and/or Metropolitan Opera: La Cenerentola and are used herein for factual descriptive purposes only. We are in no way associated with or authorized by the Metropolitan Opera House and/or Metropolitan Opera: La Cenerentola and neither that entity nor any of its affiliates have licensed or endorsed us to sell tickets, goods and or services in conjunction with their events.